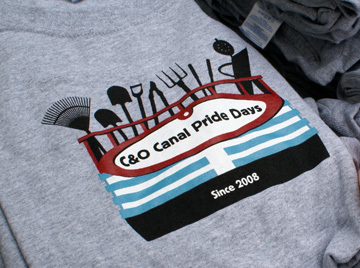 The C&O Canal Trust today announced a t-shirt artwork contest for their 2016 Canal Pride events. Amateur artists are invited to submit artwork to be considered for the 2016 Canal Pride events. The winning design will be printed on our Canal Pride t-shirts and worn by our volunteers as they work in the C&O Canal National Historical Park during the spring months. Canal Pride events are volunteer project days throughout the year that tackle the backlog of maintenance projects in the C&O Canal National Historical Park. During 2015, the Trust hosted more than 40 different events with over 1,000 volunteers, who were all vital in helping to maintain the 184.5 mile Towpath and 1,300 historic structures in the Park. Canal Pride volunteer projects include painting park benches, clearing trash, and removing invasive plant species. Our volunteers help keep our Park safe and clean for more than 5 million visitors each year. 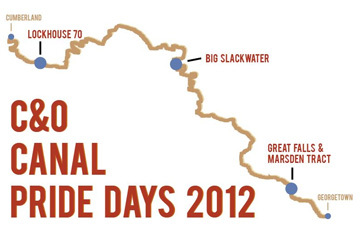 Submitted artwork should represent some aspect of the C&O Canal and the Canal Pride concept. 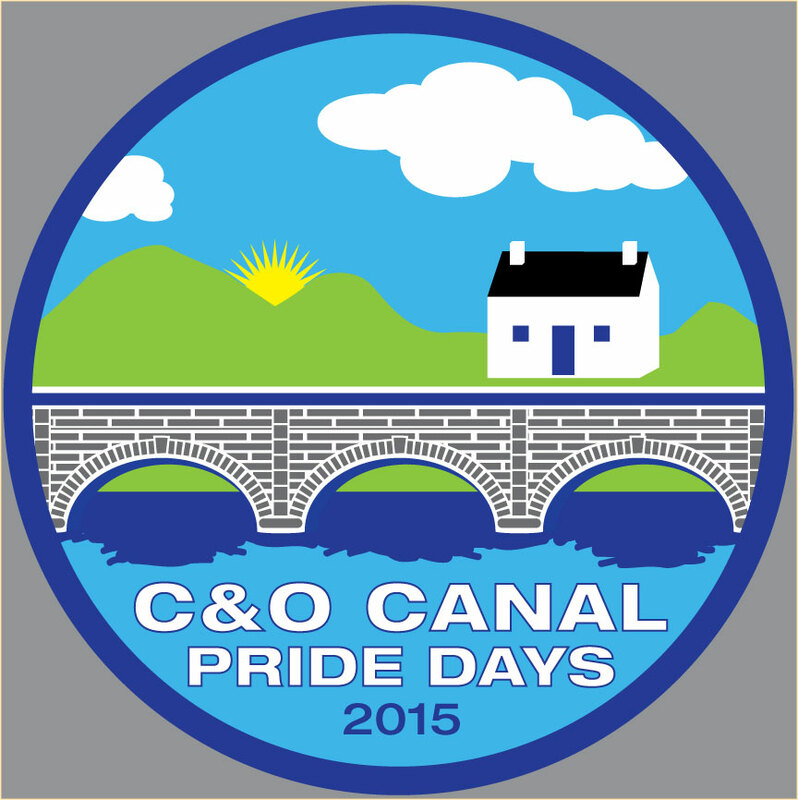 Each design must include the words “C&O Canal Pride Days” and the year “2016.” Artwork from past years is shown below to inspire ideas. 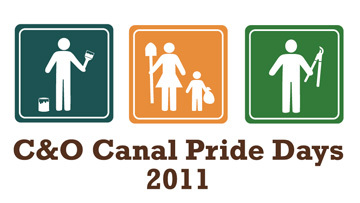 The Canal Pride logo also appears below. The logo can be incorporated into the designs, but does not need to be. Please keep your artwork to 6 colors or less, as printing color artwork on t-shirts can become expensive. The artwork will be used on either grey or natural colored shirts. Entries from both adults and children welcome. Entries should be submitted by February 10, 2016 to the C&O Canal Trust at [email protected] or can be mailed to us at: Canal Pride Artwork Contest, C&O Canal Trust, 1850 Dual Highway, Suite 100, Hagerstown, MD 21740. Please include your name, address, phone number, email address and age (if 18 or under) with your entry. If you are under 18, please ask your parent of guardian for permission before entering this contest. The C&O Canal Trust staff will select the winning entry based on visual appeal, the use of six or less colors, and the representation of the Canal Pride theme. The winner will be notified by March 1, 2016. The winner will receive a C&O Canal Trust prize pack that includes a one-night stay at one of our lockhouses, a C&O Canal Trust logo cap, and two coffee table books of photographs of the Canal (not redeemable for cash). Also, the winner’s artwork will be printed on our 2016 Canal Pride t-shirts, and the winner will be provided with three shirts to keep.